Last month, we featured six innovation attributes that mid-size, high-growth companies hold in common. This month, it’s six company behaviors that hamper growth and innovation, even as leaders ostensibly pursue it. Resistance to disruptive innovation can also crop up when external stakeholders work to defend the status quo in an industry, and we’ll look at one company that’s earning that kind of opposition now. Don’t take active, personal responsibility for growth by providing hands-on oversight of new initiatives (including spending significant time with the teams that work on them). Don’t put experienced talent at the helm of risky new ventures, but entrust them to recent MBA grads or staff executives who’ve never actually run an enterprise. Don’t assess performance with metrics that are right for start-ups. Don’t apply funding and governance policies that make sense for start-ups. Don’t leverage the company’s core capabilities in support of fledgling initiatives. A composite sketch of the ideal growth leader could certainly be drawn using the opposite behaviors as a guide. This enlightened leader would dedicate a significant chunk of his or her time to growth initiatives; give them the best shot at success by assigning experienced people in the organization to lead them; understand how budgeting and progress measurement must be tailored for them rather than for mature organizations; and pull the rest of the organization into supporting the growth challenge while maintaining the strengths of the core business. It’s a vision worth striving for, yet not one that is attainable (or perhaps even right) for every organization. We’re all at different places in our company and industry life cycles. And in any case, while organizational cultures can change when top leaders get involved, many innovators do need to work under the radar on projects that could be perceived as threatening to the rest of the organization. Still, all management levels can learn from these six common mistakes. Oftentimes the counter-productive behaviors are not deliberate. They can easily occur when managers focus on short-term performance and pressures versus long-term results and achievement. They can also signal a knowledge gap; getting a new venture going differs from running a mature enterprise. Use them as a way to take stock of your own behaviors. Do you give growth and innovation plans the best shot in your own parts of the business? When a company presents a new business model that threatens those vested in a current industry norm, expect heels digging in to resist the upstart. We’re certainly seeing that in the case of Tesla. 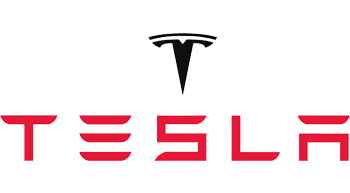 Tesla wants to own the entire process, from raw material through customer delivery. So it operates its own showrooms, mostly in malls where it can interact with, educate, and learn from a broad range of prospective customers (including those who are not actively shopping for a car). Ultimately, it aims to sell cars online at sticker price. Does that threaten the current auto dealer business model? You bet. If you are in a leadership position, carefully consider how you personally invest in growth and innovation. Gauge your own knowledge gap on how to support and manage new ventures versus established organizations. And check to see how your own time and expertise and that of your staff can be better geared toward growth. Recognize the force that the status quo can exert to try to stop the flow of change. There are often logical reasons that underlie that resistance. Expect deliberate attempts to halt a disruptive innovation. You must be prepared to fight those battles, whether they are internal or external. And consumers that will benefit can be enlisted to help you resist the resistors.